Canine Infectious Tracheobronchitis (ITB), more commonly known as kennel cough, is a highly contagious respiratory infection in dogs. Common amongst pets housed together in kennels, pet shops or shelters, kennel cough in dogs sounds like a dry hacking cough in an otherwise healthy pet. What makes kennel cough contagious is that it spreads so quickly, and while it is a mild, self-limiting disease that usually gets better on its own without treatment, puppies between the ages of 6 weeks and 6 months are the most at risk, and severely affected. 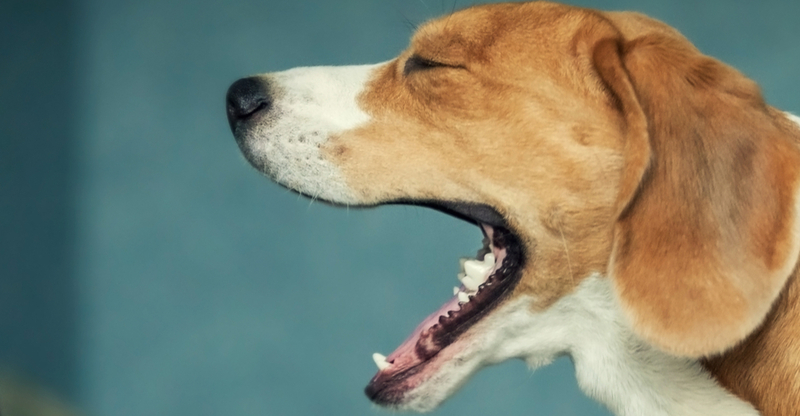 Kennel cough is rarely caused by a single agent, and is usually made up of a combination of bacterial and viral organisms that can determine how long kennel cough will last for a dog. If the pup’s disease is caused by just one agent, coughing is limited and a dog will recover quicker than if several agents are the cause, which can mean a recovery time of 2 to 3 weeks, and as long as 6. What are the Types of Kennel Cough Treatment? Antibiotics, a precaution to avoid a secondary infection; the most commonly used are Clavamox, Trimethoprim sulfonamide, and Doxycycline. Steroids, used short-term (3-4 days) and in low doses may lessen the severity of the inflammation of the trachea and the coughing. and prescribed by a veterinarian, and in very limited doses. Cough syrup should not be used at all in cases of pneumonia. Harnesses over collars will help avoid putting pressure on the trachea, especially if your pup is excited and pressure is exerted on his neck from pulling. Nebulizers with sterile saline may be helpful, and can also be used in cases where therapy is not working, and antibiotics or steroids can easily be added to the solution. Fluids, antibiotics and other supportive treatment to alleviate symptoms may be required in complicated cases. Kennel cough is most commonly seen in the summer and fall, and has an incubation period between 3-10 days. Dogs and puppies as young as 2 weeks old are susceptible to catching kennel cough if they are housed together in kennels, which is when transmission of Parainfluenza and Bordetella through dog-to-dog contact or contact with aerosolized droplets (airborne transmission) can occur. Disinfect your dog’s crate and accessories with bleach, diluted 1:32 parts with water, chlorhexidine or benzalkonium. Always have adequate ventilation running through rooms. Quarantine infected dogs for 10 -14 days if possible, but if unable, make certain to isolate coughing dogs immediately. Always wash hands after touching dogs. Wash all bedding with hot water, soap and bleach. Originally written by Dr. Lila Miller, D.V.M., ASPCA for Petfinder.com, edited by Petfinder experts.